Whilst I loveeeee celebrating other people's birthdays, I'm not too fussed about celebrating my own. I don't know what it is, but now that I'm older there's only really one thing I care about on my birthday...... cake. But not any sort of cake. 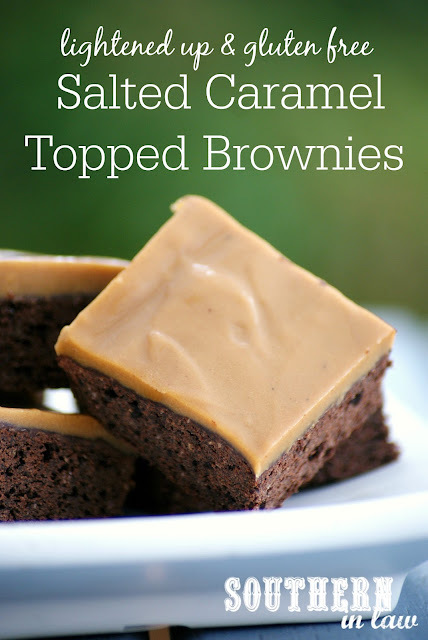 Gone are the days of boring packet cake mixes and store bought frostings. Now that I bake my own birthday cakes, I look forward to my birthday each year because it means I can come up with a new delicious cake recipe to enjoy with my friends and family. I know what you're thinking; but caramel isn't easy to make. Well, whilst it may not normally be an easy task, I've made it super simple and there are no candy thermometers or fancy methods needed - just two minutes needed on the stove top! 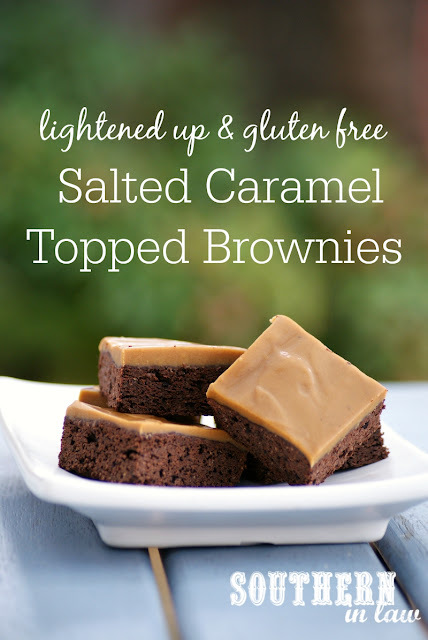 lower fat, lower sugar, gluten free, lightened up & deceptively simple! Grease and line an 8" brownie tin (or smaller if you want them thicker - we used an 8") and set aside. Combine your flour, cocoa, baking powder and salt and set aside. Melt your butter (either on the stove or in the microwave - just don't mix your ingredients over the heat) and then mix in your applesauce, sugar and vanilla. Add in your eggs, mixing until combined. Pour your wet mixture into your flour mixture and stir until just combined. Pour your brownie mix into your prepared tin and bake for 12-18 minutes, or until cooked through and a skewer inserted into the middle removes with moist crumbs. You want to make sure you don't overcook your brownies or they'll be dry so keep an eye on them as cooking time will vary depending on the thickness and your oven. In a small saucepan over a medium heat, melt your butter and mix with your milk and sugar. Cook your caramel mixture on a medium-high heat for two minutes or until bubbly and no lumps remain. Remove from the heat and mix in your sifted icing sugar (see notes below if your caramel is lumpy). 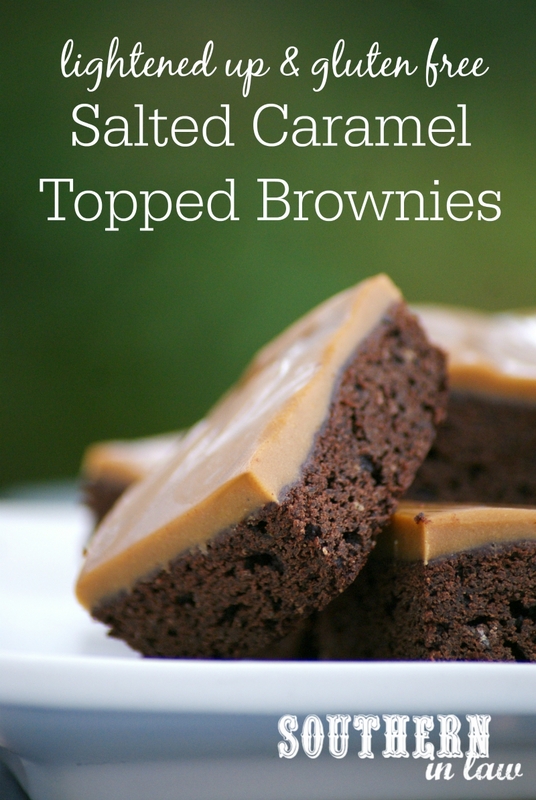 Pour your smooth caramel mixture over your brownies (still in the lined tin! ), smoothing the caramel to ensure an even coverage. Pop your brownies into the fridge and chill for 1-2 hours or until your caramel is set. 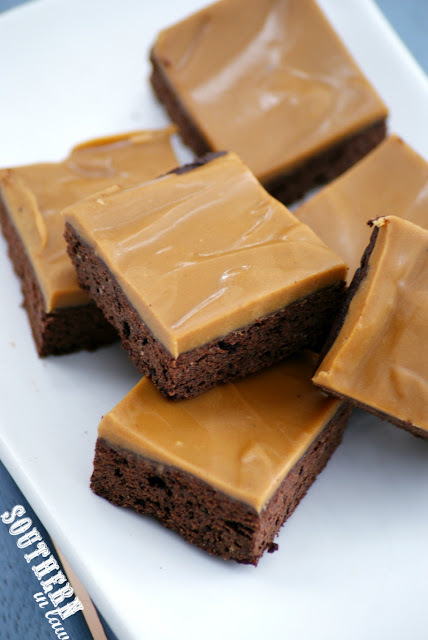 Slice your brownies into squares and enjoy! These brownies are best kept in the fridge and will keep for 3-4 days in an airtight container or covered plate in the fridge. *If you like things on the sweeter side, use half a cup of sugar in your brownie base. We found we only needed this much sugar as the caramel topping is pretty sweet but it's up to you! But tell me, what do you look forward to about birthdays? And what's your all time favourite dessert?